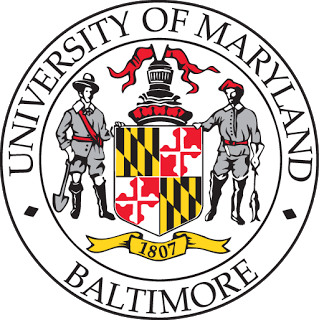 Background: Founded in 1807, The University of Maryland, Baltimore, (also known as the University of Maryland or UMB) comprises of some of the oldest professional Schools including School of dentistry, law, medicine, pharmacy, social work and nursing in the United States. UMB works around the world to enhance capacity of governments, Regional and District Health Management Teams to improve the quality of health services through targeted technical assistance, systems development and institutionalization of quality improvement initiatives. In Tanzania, UMB works through its affiliate, Maryland Global Initiatives Tanzania (MGIT) a not for profit organization. UMB has teamed up with Amref Health Africa to implement a Comprehensive HIV Care and Treatment project aimed at acceleration of achieving the 95-95-95 goals for HIV Epidemic control and building of sustainable health systems for optimized population-wide health outcomes. The project which is branded as Afya Kamilifu Project received funding from the U.S. President's Emergency Plan for AIDS Relief (PEPFAR) through CDC Tanzania and will be implemented in Tanga Regiona and Zanzibar Islands. UMB and Amref Health Africa will work under the guidance and close collaboration of CDC Tanzania, Ministry of Health, Community Development, Gender, Elderly and Children, Zanzibar Ministry of health, President’s Office Regions Authority and Local Government (PORALG), RHMTs, CHMTs, Health facilities and other stakeholders for successful implementation of the Afya Kamilifu Project. The Procurement & Logistic Officer is responsible for performing confidential administrative duties relating to organizing and coordinating procurement activities, review and distribution of information to include: Request for Proposals (RFP's), formal bids, price quotations, annual maintenance agreements and blanket purchase orders. · The Accountant will have responsibilities for ensuring donor grant reporting and compliance regulations are met. · Review on-time program expenses against approved budget, program report and deliverables as well as supporting documentation to check for allowability, allocability and reasonability. · Verify accuracy of transactions and uniform application of policies, procedures, and acceptable standards. · Receives, Analyzes, adjusts, and prepares various internal/external financial ledgers, schedules, exhibits and summaries along with any assigned databases utilized for financial reporting. · Monitors assigned budgetary transactions (i.e. payroll, accounts, receivable, forecasts) on a daily basis. LOCATION: Dar es Salaam – with frequent travels to Tanga and Zanzibar. The Associate Director for Clinical Services will be responsible for the overall oversight, coordination, and supervision of all Afya Kamilifu projects’ technical deliverables. S/He will lead the project in designing interventions that will timely respond to emerging needs at both patient and programmatic levels. S/He will work very closely with the Associate Director for Monitoring and Evaluation and the Regional Program Managers to timely evaluate program effectiveness in meeting stated objectives within agreed timelines. S/He will provide the overall management and coordination of the Afya Kamilifu Technical arm. The CQI Officer will be responsible for providing capacity building and mentoring on CQI to health facilities in Tanga Region. The primary function of this position will be to work with the health facilities, Regional and Council Health Management Teams in developing CQI interventions to respond to challenges with the HIV/AIDS program in the region. The CQI officer will ensure all health facilities have active QI teams and are implementing CQI activities using National guidelines. S/he will provide mentorship and support to facilities in using the Small Test of Change (STOC)/Plan Do Study Act (PDSA) methodologies for QI at the site level and in understanding and measuring these processes for both patient and program level improvement. The CQI officer will work the health facility CQI teams and the project team to track all HIV/TB related indicators, develop QI activities to respond to performance gaps, report all QI activities on a monthly basis and provide feedback and recommendations to the CQI advisor. Under the leadership of the Associate Director for Clinical services, the CQI Advisor will oversee all quality improvement related matters and work very closely with the Regional Project manager and the Monitoring and Evaluation team. S/he will be the key person in representing the Afya Kamilifu Project’s Quality Improvement portfolio. The position holder will be responsible for the overall oversight, technical assistance, capacity building and coordination of Quality Improvement efforts. S/He will also supervise the CQI officers to ensure they meet their day to day goals and objectives of high-quality HIV/AIDS services delivery at the Council and Facility levels. S/He will work closely with the R/CHMT, community partners and other stakeholders in ensuring the achievement of optimum patient and project outcomes. The HIV/AIDS Clinical Services Advisor will be part of the Afya Kamilifu technical team supporting the project in delivering quality and comprehensive HIV care and treatment services to accelerate the 95-95-95 goal for epidemic control. S/He will ensure that all components within the technical arm integrate efficiently for a greater population and programmatic level impact. S/He will work very closely with the Monitoring and evaluation team, TB, PMTCT, and CQI to ensure general uninterrupted and integrated service delivery. The HIV/AIDS Clinical Officer will be part of the Afya Kamilifu regional technical team supporting the project in delivering quality and comprehensive HIV care and treatment services to accelerate the 95-95-95 goal for epidemic control. S/He will ensure that all components within the technical arm within the region integrate efficiently for a greater population and programmatic level impact. S/He will work very closely with the Monitoring and evaluation team, TB, PMTCT, and CQI to ensure general uninterrupted and integrated service delivery. The Human Resources and Administration Coordinator will be support the HR manager and the department on the employee recruitment, training and development, the enforcement of disciplinary procedures and conflict resolution, while ensuring that the organization continues to meet its business and organizational objectives. The PMTCT/EID officer will work under the leadership of the Regional Project Manager and Technical oversight of the PMTCT/EID advisor in all technical matters related to PMTCT and EID. S/he will be responsible for R/CHMT and facility level oversight of day to day PMTCT and EID services while providing technical assistance, capacity building and coordination of related activities. S/He will work closely with the technical team, R/CHMT, facilities and other stakeholders in implementing timely, effective, efficient and high-quality services to ensure PMTCT and EID specific 95-95-95 targets are achieved. The Pediatric and Adolescent advisor will work under the leadership of the Associate Director for Clinical services in all technical matters while working very closely with the Regional Project manager. The position holder will be responsible for the overall oversight and coordination of all Paediatrics and Adolescents HIV interventions. S/He will also supervise the Paediatrics and Adolescents officers to ensure they meet their day to day goals and objectives of high-quality Paediatrics and Adolescents HIV services delivery at the council and Facility levels. S/he will be the key person in representing the Project’s Paediatrics and Adolescents portfolio. Under the leadership of the Associate Director for Clinical services, the PMTCT/EID Advisor will oversee all PMTCT/EID related matters and work very closely with the Regional Project manager and the Monitoring and Evaluation team. S/he will be the key person in representing the Afya Kamilifu Project’s PMTCT/EID portfolio. The position holder will be responsible for the overall oversight, technical assistance, capacity building and coordination of all PMTCT/EID related interventions. S/He will also supervise the PMTCT/EID officers to ensure they meet their day to day goals and objectives of high-quality PMTCT/EID services delivery at the Council and Facility levels. S/He will work closely with the R/CHMT, facilities and other stakeholders in ensuring PMTCT/EID services are timely, effective, efficient and of high quality. The incumbent will support the town errands and field work activities, while strictly observing Tanzania traffic guidance and MGIT policies and regulations related to the usage of vehicles. The incumbent will also facilitate planned maintenance, routine vehicle services and minor repairs to the vehicle assigned to. The TB/HIV advisor will work under the leadership of the Associate Director Clinical services in all technical matters while working very closely with the Regional Project manager. S/he will be the key person in representing the Projects TB/HIV portfolio. The position holder will be responsible for the overall oversight, technical assistance, capacity building and coordination of all TB/HIV related interventions. S/He will also ensure the project meets its objectives of high-quality TB/HIV services delivery along the continuum of care within the Council and Facility levels. S/He will work closely with the R/CHMT, facilities and other stakeholders in ensuring TB/HIV services are timely, effective, efficient and of high quality.